This panel discussion will feature a cross-section of GIS, IT, and Operations people and focus on breaking down field data collection requirements to clarify how to prioritize requirements so that a minimum viable solution can be deployed. The objective of this exercise is to define what it will take to bring key stakeholders together to address state and federal data collection requirements, and deploy how best to deploy cost-effective and timely solutions to meet regulatory obligations wrapped up in NPRMs. With incidents on the rise, it is increasingly risky for utilities and operators to go without a tested protocol for responding to regulatory investigations and potential claims following a critical event. Find out what goes into your response playbook, including a typical event roadmap, and how to identify key data sources, engage stakeholders, and effectively test the plan. A Mobile Data Capture Solution for Plastic Fusion Remediation. Learn how one of the nation’s largest utilities responded to a plastic fusion-related order and new traceability requirements by deploying a mobile solution to streamline the collection of data from the field. This approach reduced cost and ensured data quality and compliance at the same time. Specific Audiences: QA/QC, Plastic Fusion. The advent of traceability technologies like barcoding and the adoption of mobile devices in the field are helping operators optimize asset data capture. But, it’s just part of the data integration journey. How do you integrate ALL legacy, current, and incoming data to achieve the analytics necessary to optimize operations? Expect the Unexpected: Responding to a Critical Event. Specific Audiences: Regulatory and Legal; Operations. ANNOUNCEMENT: UTILITY VETERAN AND GAS RECORDS EXPERT JOINS CELERITY. We are pleased to announce that Luano Nomellini has joined Celerity as Vice President of Utility Consulting Services. Luano comes to Celerity with 35 years of experience at PG&E, managing teams and departments in the areas of mapping, estimating, and document control. Luano’s focus at Celerity is helping our gas/utility project teams expand our records management and operation support services and grow the utility practice. He brings a depth of knowledge in the areas of utility records and documentation; systems management; process improvement; retrieval, scanning and attribute coding; and team staffing and development. At PG&E, he developed a long track record of completing successful projects and building strong teams, including the post-San Bruno era. Most recently, he was Manager of Gas Transmission Mapping/Scanning and Attributing. His broad and deep experience combined with his leadership, management, and problem-solving skills will be a tremendous asset to our gas practice and to Celerity. Luano is based out of the Walnut Creek office. Learn about types of issues encountered in validating legacy leak data and how to prevent these issues by utilizing new techniques and solutions. View a demonstration of an advanced leak investigation application that both manages the inspection schedule and compiles a leak investigation record complete with auto-grading and mapped barcode readings. Pending regulation will require operators to collect and maintain detailed attribute and location data for plastic materials and joints. How are companies approaching the pending materials tracking and traceability requirements? What equipment and skills will your company need to comply? This presentation will review materials and field data collection for distribution. A “how‐to” guide for developing a data capture and reporting solution, centered on the key questions to ask Regulatory, Business, User, and Technical/Security stakeholders to ensure a successful outcome.Find out more. Commercial excavators, utility operators, designers and developers who fail to follow safe digging practices may be subject to penalties and fines. New regulations taking effect in certain states give Operators the opportunity to collect and submit documentation to regulators that demonstrates excavation violations. See a demo of a Damage Investigation solution that helps collect, evaluate and submit excavation violation information for adjudication by a regulator.Find out more. San Francisco, CA – October 28, 2014 – Celerity Consulting Group (“Celerity”) announces a new release of Oliver, Celerity’s legal document review, cloud-based application. With version 4, Oliver adds visual appeal and ease-of-use to its portfolio of strengths which include: supporting complex multi-party cases, providing integration with Google Maps and custom GIS providers, and offering a highly customizable workflow. Celerity Consulting Group is an information governance consulting firm that helps laws firms, companies, regulated entities, and public agencies resolve their litigation, risk and compliance, technology deployment, and restructuring challenges. Our specific services include eDiscovery; litigation support; document hosting; litigation readiness; records management; records collection, review, and validation; enterprise content management and litigation technology integration; data analysis; and engineering support. Celerity clients include Fortune 500 Firms and 15 of the AmLaw 2013 top 25 law firms. Celerity Consulting Group became an HP Autonomy Partner in 2013 to provide clients with access to industry-leading technology from HP. Find more information about Celerity at www.consultcelerity.com or contact Steffani Aranas at at info@consultcelerity.com or (415) 986-8850. 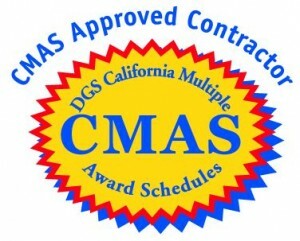 San Francisco, CA – October 7, 2014 – Celerity Consulting Group (“Celerity”), an information governance consulting firm specializing in providing technology deployment, risk and compliance, restructuring, and litigation services and solutions announces it has been awarded a California Multiple Award Schedules (“CMAS”) contract. Celerity’s technology deployment team has deep experience helping companies roll-out and upgrade enterprise content management and legal content management solutions with capabilities in requirements development, solution and vendor selection, solution configuration, solution testing and verification, system maintenance, and training.